Whether it is a modern home or an ancient mud dwelling, evidence shows that the use of plaster for coating walls, filling up open patches, and strengthening the overall structure has been in practice for thousands of years. Due to the weather in Adelaide, South Australia walls and ceilings may experience cracks, leakages, as well as seepage in the walls. In all of the above-mentioned problems, a reliable plasterer in Adelaide, SA, will be able to help you out. If these problems are left unchecked they could lead to more extensive damage which will be very expensive to fix. In this brief article, we’ve compiled a list of the most reputable plastering companies in Adelaide, SA. If you have a problem with any walls or ceilings in your home, the Master Plasterers is one of the best plasterers in Adelaide, SA. The Master Plasterers can build, repair, and renovate the chipped, weathered, uneven, or severely damaged walls of your home. Amacris builders are another quality-plastering service provider in the suburbs of Adelaide, SA. They serve residential dwellings and provide restorative works: inspection, plastering, gyprock, carpentry, painting, etc. Hurst Constructions is a well-known family owned business in Adelaide, SA, with over 15 years of practical experience in construction and renovative works. Along with the construction services, they offer kitchen and bathroom renovation, plastering and restoration services. As the name suggests itself, the Renomate specializes in providing both residential and commercial renovation and building services. The company also offers after-sales home/office maintenance services. 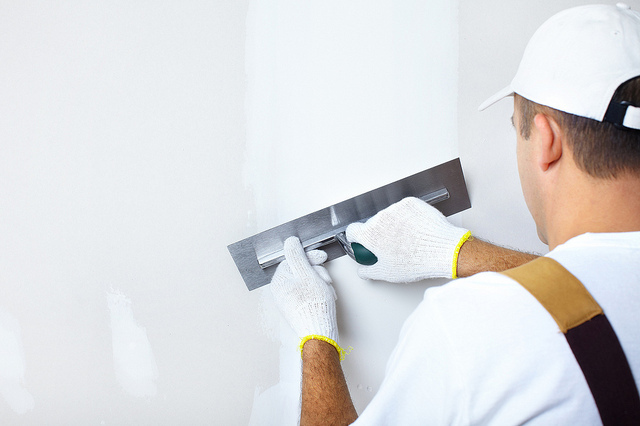 For plastering, they offer ceiling fill-ups, wall fillings, and coating services. Sewellies Home Maintenance is a complete package and one-stop-shop for all property maintenance and renovation needs. Their service ranges from site leveling and demolishing to home renovation and even gardening. If you don’t want to look for separate companies for each service and require only one contractor to do all, Sewel Home Maintenance should be your choice! Freshlook Plastering provides free quotes and solid rendering, plastering, and texturing services for homes. They are one of the oldest renovators and plasterers in Adelaide, SA, working for over 30 years on. Neil Ritter Constructions is an Adelaide-based home construction service provider who are almost 35 years old in this business. Neil Ritter construction provides overall home renovations, decking repair, stonemasonry, and expert technician handyman services. Bell Interior Linings have a specific class in home renovation services – they are champions of classical heritage cornice works and ceiling specialists –. Apart from renovation and plastering services, Bell Interior Linings also offer partitioning, insulation, and handyman services. The final top plasterer in Adelaide, SA, on our list is D F Rendering, a dedicated only wall rendering and plastering services providers. D F Rendering is the expert on classical heritage rendering and solid plastering on concrete. If you are looking for concrete wall renderer and plasterer, look no further then D F Rendering.